How would you like the future to look? Now, before old LoR vets burn me down, I present the idea of a newbie. Ever since I joined, I never really had any incentive to build anything. I'll try to be brief on several things, but please hear me out. - This appears to be the only viable way to actually affect what goes on in the world. More importantly, only winning the overall challenge means anything. However, even when a faction does win, the results seem rather lackluster, almost to the point of being meaningless. My biggest gripe with it is that the story, which is directed by these GCs, never actually include the folks that win it. From what I can tell, it follows a bunch of characters who are not even active in LoR. If what I'm building doesn't have anything to do with the people who participated in a challenge, and the results of it appear meaningless, why should I care about participating? - What's the point of these again? These are small challenges within each faction that... honestly, I can't answer that question. Again, in the grand scheme of affecting the faction I'm part of, these don't do anything. Oh hey, winning one of these can give me a title! Nice, but does it allow me to do anything special in my faction. Nope! Once more, I ask, myself the same question as above. - I know a lot of people put time into these, but I can't really see the point. It seems like it is very rare that personal stories end up meaning anything in the grand scheme of things. It just seems like these stories are just things that happen in the land, but no one really pays attention to them. As a joke, I had considered making a huge, magic war in Garheim, knowing that it would not affect a thing in the world. Shoot, the people in Garheim wouldn't even care because it would probably be happening in some corner where no one cares. Again, why should I care about developing a personal story? - Our mysterious leaders. Honestly, open communication, especially with the masses on the direction of LoR, would be much appreciated. If this is a world that we're suppose to care about, why doesn't the average person have more say in what direction they'd like to go? For example, I really can't voice how much I dislike the current story. The issue is, since the KC basically makes all of the decisions, and I haven't really seen someone from the KC ask the general forum about opinions. I'm probably the only one that feels this way. - Given the way the story is going, why are there four factions? It really seems to be centered around Loreos and Lenfald. It really feels like no one has a clue of what to do with Garheim and the Outlaws. Why do they even exist? More importantly, since the current story is around Lenfald and Loreos, what do either of these factions have to gain? Sure the outlaws will probably just go with the winning side, but what about Garheim? I considered participating in a GC, only to stop myself because of the following question: what does my faction actually gain? Again, I couldn't answer the question, so I didn't bother with it. All factions really need to be incorporated in the story; if they aren't included, it almost appears as though the story creators don't care. If the story creators don't care about my faction, why should I care? For a world that everyone is a part of, there is virtually no interaction between stories, both personal and global. They might as well exist in entirely different worlds. If everything a member does whether it is a local challenge, free build, global challenge, or anything else has no effect on the world, even in the smallest way, there is virtually no reason to be doing this. Sure, it allows people to develop building skills, but those can be developed independently of LoR. In the end, I just couldn't really find a good reason to devote time and effort to anything LoR related if it didn't matter. Some people have added prizes to things for an incentive, but honestly, that doesn't cut it. Builds, both big and small, need to have some effect on the world that is recognized. So, let me rephrase the question above. If I'm a newcomer to LoR, why should I care about participating? Our mysterious leaders. Honestly, open communication, especially with the masses on the direction of LoR, would be much appreciated. If this is a world that we're suppose to care about, why doesn't the average person have more say in what direction they'd like to go? Lol, I can't help but think of how true that is: in RL. Maybe it's realistic. On a more serious note (well, maybe less serious) what you said is exactly what I thought. If all there is to do in LoR is write a story, win contests, and build, why join or stay? I could write a story with less impediments elsewhere. I could enter a contest with more prizes and motivation (and participants) and better judging in other places. And I could build absolutely whatever and whenever I wanted if I wasn't doing it for LoR (the restrictions on free-builds are absurd; first, what's wrong with rewarding very active builders? Second, the points you get don't matter anyways). So... 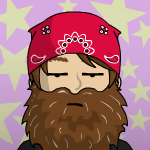 I did that, and I haven't exactly regretted it. You guys make some great points, I think completely starting over is excessive but revitalizing the duller aspects of LoR is critical. I have some ideas of my own but they're more related to fleshing out the lore than reworking the mechanics. We could try to set up some sort of rule system for LoR wargaming? Potentially play out international issues on a battlefield? We could even record the battles on video, I would enjoy watching a livestream of a huge world altering battle. All: While I still am theoretically fine with LoR as we know it, it seems clear from the responses here that it isn't sustainable. I also quite like many of the ideas being proposed here and think that they could produce a much better game. Therefore I've changed my vote to "Keep the LoR world but change the structure." Do we want an open war game, such as Cuahchic has proposed, but in Roawia? This would be difficult to fit in the existing LoR world, but also seems to be what we are leaning towards. The chief advantage of this system is that it removes most of the global event initiative from the KC, and therefore would allow the game to continue without hold-ups by a select group of players. On the other hand, that would mean a major paradigm shift from the principles on which LoR has been operating, and a lot of work to create the rules and a balanced game. It would also involve allowing faction territory to be actually conquered, and would probably require redefining the factions to some extent. Is that what we want? The alternative would be a simple refinement of the current system (such as @merc has proposed), with some sort of economy but story choices still dictated to some extent by the KC, and less freedom in conquering enemy territory. Would anyone be opposed to structural changes? Speak now or forever hold your peace. nightstalker : Obviously not everyone is going to like every game; I can only say that I did care when I joined, because thought the challenges were fun to build for and I liked telling stories within the framework. However, you are clearly not alone in your opinions and I'm not saying that things couldn't be improved to to suit more people. So I'll turn the question around: what would it take to make you care? Are the ideas being proposed here what you are looking for? I think you can run a complex game if you want to, it's just a case of getting the right environment for this to flourish. Basic admin tasks (recording builds, adding points, etc) could be automated away (just to reiterate, this is something I do for a living and would be willing to help with). Instead of waiting for centrally controlled challenges, give the players the ability to do more meaningful things outside of these (see some ideas in the poll thread) - this will also allow the moderators to participate in challenges and not relegate them to housekeeping duties). Automation does sound great, I just didn't really know it was feasible. However, your expertise and willingness to help make this a wholly different proposition. Is that something that could be done on this forum? I quite like your RPG proposal, but I personally would prefer to stick with the established LoR world and the general consensus seems to be leaning that way as well. Would you be willing to help with designing a new rule system for LoR, if that's the way the vote goes? I've left the poll open for about another week, so we will see if there are any more votes. At present the consensus is to keep the existing LoR factions and lore so if that remains the case hopefully some of the leadership team can give us some input on what happens next. I'll take it to (whatever's left of) the KC. For now, let's keep the input coming here so we know what everyone wants. I'm kind of sad to see that activity in LoR has waned, but I also think it is remarkable that it has lasted so long with only a few minor updates. 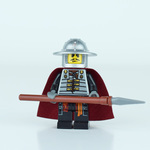 I'm really proud of the rich collection of LEGO creations and stories that have sprung from all it's members. That being said LCC/LoR was created with the idea of keeping the status in balance, (to the point where we used to limit entry into certain factions when they became more popular than the others) I also think that warfare and conflict played a bigger role in the activity of the group than the system could provide. I have very fond memories of bashing Lenfel castles in my stories but since we feared an uneven system we ended the major war too soon and made sure that no land was conquered or taken from any side. Basically there could be no results or change in a (intending to be-) balanced group. I've been out of touch the past few years but I feel with these static foundations the global story is bound to become dull and repetitive over time. I now think a more dynamic approach is needed to make a compelling group for new and old members alike. I think the story is a little to convoluted and boxed in to progress smoothly anymore. I would definitely lean towards a hard reset or a fresh start in a different world. I know we have some great stories and memories here but it's really exciting and fun to start a new group and it may be time to let LoR retire in it's current form if there is just not enough interest and activity. Josdu mentioned a new group which we and several others are working on. It is being designed by leaders from LCC/LoR, GoH, and LoM. We hope to take the best elements from all the previous RPGs and update them with better technology and a hugely ambitious new system of operation with easy communication on all levels. Plus a big emphasis on warfare and dynastic struggle. That's about all I can share right now but if you guys are looking for something new I'll see if we can start to go more public with our work so far and see if you guys are interested. From a technical standpoint I believe (but I've not tested) that you could have an account controlled by a bot that would harvest information posted by users and make posts to keep track of things (e.g. competition entries, game moves, dice rolls, whatever!). I would caution you that this would be against the ProBoards terms of service (see 19(g)) but since around 52% of web traffic is bots and the program would be written in such a way to impersonate a human and we wouldn't be doing anything malicious then I'm personally not worried about it. I use bots to scrape websites all the time when their terms of service expressly forbid it (and I've yet to have my IP address banned), I'm cavalier that way. But that's one for the board owner to agree to. Before we go writing any bots it's important we decide on what these bots are there for. That means we need to agree on the game rules first. Have different layers showing terrain, ownership, etc. Add/remove player cities and castles. If it was interactive, if players leave and new players join the ownership could change or new places could be added (helps new players feel part of the game - you could suggest they need to build a minimum threshold of points like the colonisation challenge before they get included on the map - the details of which could be picked up by the bot). Compute distances between locations to give approximate travel times (could be useful for wargaming). I'm doing some research on algorithms to find the shortest path between two locations for work so it's good timing for me. Apply bonus/penalties to battles or other events based on their map location, taking into account terrain etc. Have a slider to slide through different rounds so the way territory has changed hands can be explored over time (i.e. you could view the map as it was after every round). I guess my point is that by using bots and interactive maps you could turn this from being purely a LEGO game to something which is a mix of a computer game and a LEGO game. It could make it more fun! If the vote goes that people want to keep the lore and factions but add new rules I would be willing to help, in conjunction with others, give some input into what that might look like (I promise I won't throw all my toys out the pram ). I don't want to seem like I'm being unreasonable by saying this, but obviously I would only go and sink a heap of time writing code to streamline the game system if the rules, factions and lore inspired me to build LEGO. What I'm saying is, the code is something I can offer because I enjoy building LEGO, I'm not writing code for the sake of writing code. I agree with a lot of the points you are making here Mark. In particular, your point about the story becoming dull and repetitive (and I would add predictable) over time resonated strongly with me. LoR has some great concepts and the map and lore have a lot going for them, I just think there's way it can be improved and a new start feels like the right way to do this. I am keen to hear more about what you guys are planning though, I know there are good reasons why it won't likely be launched until much later in the year, but it leaves some people like me in a bit of dilemma. I would like to see a successful castle collaborative building game, but I don't know whether to spend my energies on trying to help revamp LoR (as above) or wait until the end of 2018 for what you guys are planning. I probably won't be able to commit to two of these games, as my building time is limited with work, young family, etc. As I know very little about it and what radical changes you guys want to make, it's difficult to make an informed decision. I don't want you to show your hand too early either, so please don't take any of this the wrong way. I like what you said about the bots and it sounds fun. In addition I would love to help revamp the game, however I don't want to sink time into something that will only last a few months. I am not trying to be mean about it but rather from the stand point of a person who has limited time, I would not want to waste time or have others wast time doing this. However if there is a large following that will play then I will be more than willing to stick around. KVB hit the nail on the head, from my perspective. As one of the "founding fathers" of LoR, it has always been my view that it was supposed to be a vehicle to inspire people to build and tell a story, with the global storyline meant to just kind of run in the background and provide a vehicle for promoting new scenarios for which to build. The more complex game elements involving resources and a battle system would be exciting and interesting, I agree, but I don't feel like very many people are up for that level of involvement and complexity. Heck, we tried to introduce some more goal-based gameplay with the Western Isles "level up your settlement" system, and had GCs that provided for gaining control of new territory, but it didn't really boost participation all that much. At the end of the day, it seems like people either don't have the time or the interest to build just for the sake of enjoying Lego, and I think that the lack of a proper Castle line has contributed to an overall lack of enthusiasm among the general AFOL/TFOL populace. We have all kinds of "side games" in LoR for people to try out, if simply building for the fun of building and telling a story isn't enough for you. The guilds and brawl system, as well as the various LCs and GCs all give different ways to be competitive with your fellow players. Back when we had more participation, we had a number of great prizes offered to the winners, though admittedly those have fallen off as I personally have been unable to build for and have participated less in the game. Everyone suffers from "builders block" from time-to-time. 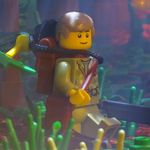 I remember one of the first building challenges we had was "clearing the land" and we had all kinds of neat MOCs showing people clearing boulders from fields and felling timber and other subject material that you almost never saw done at the time. I thought that was so cool! Later, Queen Galainir betrayed everyone and we got to build scenes of evil troops overrunning our towns, or rebellions rising up to fight her. To me, that was the point of LoR; giving people interesting topics to build for. 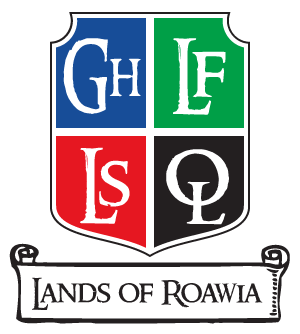 "Lands of Roawia is a MOC-based RPG", I believe is part of the description of the game in the introduction thread. If people aren't building MOCs, adding complex rules and objectives won't fix things. That said, I agree with KVB and Ayrelego. Let's see people actually commit to building some MOCs and then we can evaluate if there's enough activity to implement a different kind of gameplay system. What is it that people need in order to feel incentive to put some bricks together and build something cool? The more complex game elements involving resources and a battle system would be exciting and interesting, I agree, but I don't feel like very many people are up for that level of involvement and complexity. Heck, we tried to introduce some more goal-based gameplay with the Western Isles "level up your settlement" system, and had GCs that provided for gaining control of new territory, but it didn't really boost participation all that much. Based on the comments/responses in this thread and the Jibber Jabber thread, it seems most people would be up for a more complex system. The driving idea behind LCC/LoR - since I started, anyway - has always been about allowing new players to feel free to build and play how they want, but a lot of the regular/long time players want to be more involved or feel more engaged. A more advanced system that benefits those who participate but doesn't punish those who don't would be ideal. Newcomers that feel daunted by the prospect of the Economy and War systems could opt out and choose simply to enter the Local Challenges, Guilds, or simply build free builds, but those who would like to engage in the campaigns wouldn't be hindered by a new-player handicap. To me, that was the point of LoR; giving people interesting topics to build for. "Lands of Roawia is a MOC-based RPG", I believe is part of the description of the game in the introduction thread. If people aren't building MOCs, adding complex rules and objectives won't fix things. The new systems being discussed wouldn't eliminate or downplay LEGO building; they would instill a sense of objectivity in LoR players - inspire us and make us feel rewarded for being active. What is it that people need in order to feel incentive to put some bricks together and build something cool? Given reasons and attainable goals. It's great that players are given the freedom to build however and whatever they want, as long as it's a free build, but those freedoms in and of themselves don't give inspiration; everything is left up to the player and, as you mentioned, people get builders' block. Sure, we can build for the guilds or the rival system, but beyond that it's evident that most players merely wait - with baited breath - for the next Global Story Update and Global Challenge to know what to spend time building for and what theme/idea/inspiration to build around. The problem is that GC's tend to come far too infrequently for most people to regularly participate and LC's don't offer much more of an outlet if they, too, are infrequent. Builders need constant input - we have short attention spans, I guess - and the ability to pick and choose what we want to build for. That's the beauty of the idea of a dynamic system we've been discussing: in its essence, it's reminiscent of a video game in that players have more to choose from; multiple given objectives or "Challenges" that they can complete at their own pace. Take the popular first person shooter franchise Call of Duty: they offer a variety of daily and weekly challenges (along with additional Contracts and weapon challenges) that people can choose from to work through and players get various different rewards for completing said challenges. As is, everything in LoR only grants personal points; these essentially don't give the player anything. Ideally, Personal Points (and other point systems) should be usable by the player to gain/obtain/achieve things; a Gambit system to level up characters/towns/armies/etc. would be interesting. Personally, I love the idea of the Global Colonization challenge; I just honestly have no interest in the Western Isles. Simply incorporating that system to the mainland would be a huge incentive for me - and likely many others - to actively build, both/either with player-controlled cities and main faction cities. As I've noted before, challenges that offer small builds would be hugely beneficial to the game; most players seem to have little free time and simple challenges that only require players to build small vignettes/bignettes would be a lot easier to dedicate free time towards. Even excluding the War system, an Economy system where players can gather resources and build up points to use towards accomplishing goals would be ideal; simplify and focus LC's towards helping the faction in real time within the game. "The Outlaws want to raid the mainland, but they need to acquire X amount of Wood and Y amount of Steel to build the ships necessary to go raiding." The players of the Outlaw faction would then build for the subcategories of the LC, showing their characters/citizens felling timber and smithing nails/etc., to achieve the Faction's Local Goal. 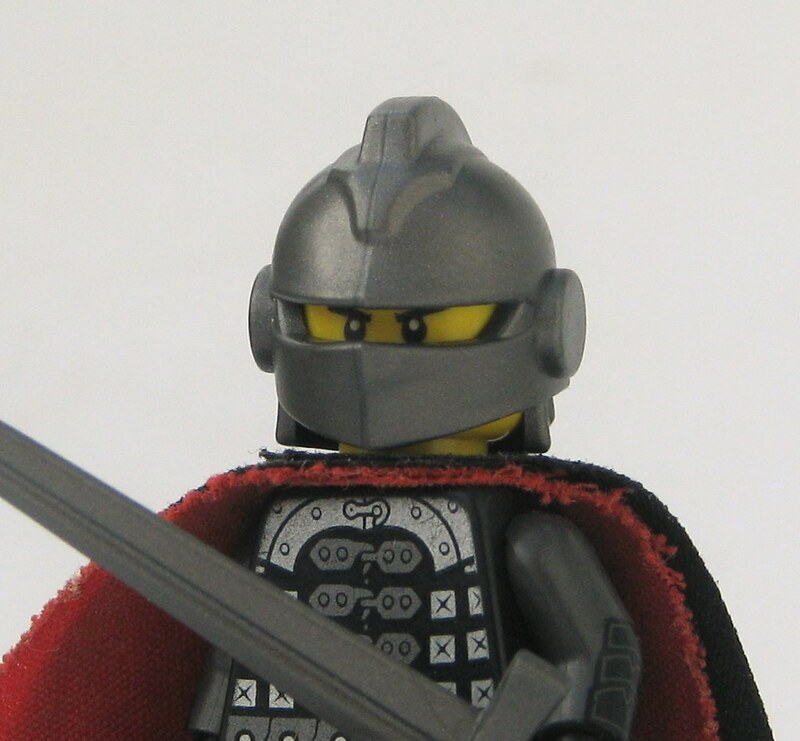 Let's see people actually commit to building some MOCs and then we can evaluate if there's enough activity to implement a different kind of gameplay system. I plan on being (somewhat) active in the meantime, but as a player I agree with Cuahchic that the KC needs to show some activity, too, and not leave everything up to us; give us incentives to build. In certain words or others, you basically stipulated that we ought to build for a system the majority of players feel needs revamped - that currently offers little incentive beyond self-satisfaction - before the KC would even consider revamping the system. That's a catch 22 and again brings up the participation paradox. Supply and demand only works if there is a steady supply - the demand is the effect. From what I've gathered, there are about a dozen or more players who would like to be more active but feel the game needs to give them a reason to be. For starters, we need to get some LC's going in every faction; those should be a constant. None of the factions have offered an LC since September. With a more player-involved system being discussed, I may also be willing to take up a leadership position for Garheim if need be to help invigorate/revitalize the game; I've always enjoyed being a player, but having been around for awhile a feel somewhat obligated to at least take up a sort of "camp counselor" position I know this all sounds critical, but I and others are willing to put forth effort to keep this game going and make this game more fun for the future. Incorporating new aspects is a brilliant idea and I feel it's imperative. You have placed us in no small quandary here. On the one hand, the new game you mention sounds like it could be fantastic, with all the features we've been discussing. 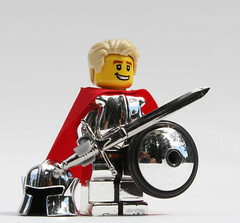 I’m beginning to think we'd be better off with one single thriving RPG than a few which are inevitably weak, with the state of the (English-speaking) LEGO Castle community being what it is. What's more, it sounds as though you guys might just have the clout to pull that off. On the other hand, many of us still have a certain affection for LoR, and don't want to abandon it for something we know little about and is somewhat uncertain. Moreover, Josdu says that you're currently expecting a 10 month delay before release. We don’t want to wait quite that long, but we're wary of sinking a great deal of time into the improvements that LoR apparently needs, if we're all going to jump ship to the new game when it comes out. Therefore- #1 Would you be able to share more complete details in the near future so we can make informed decisions? #2- How definite is that timeline? Is there any chance it can be accelerated? If you aren’t able to talk about it yet, that’s fine. It sure would make our decisions here a lot easier if you could though. #2- How definite is that timeline? Is there any chance it can be accelerated? I can answer the second one, and we will see about getting back to you on the other questions. The timeline could be accelerated, I was just playing it safe. 6 months might be enough time to get it running, but if ten months is the long end of the spectrum, this would be the short end. Altogether though, I can't say I think it would take so very long as to be grueling. @ak_Brickster I agree with you, and so one of the problems was that the main story line was stale: the story line was what drove those who liked the stories, but while, IMHO, it's still an interesting read and I think the King's Council do a great job writing, the background and the events just weren't exciting, and if the stories the only thing really holding LoR together, it wouldn't be that hard to pump the stories out way faster, and that would have really helped the last six months all by itself, I think. I don't think it's the case that people aren't up for complexity. I just think they haven't been offered the right complexity. As Sir Caedric Moore says, personal points and faction points mean very little. They're nice numbers, but that's about it. You can't spend them, and they impact the global story line very little. On to your final point - I can tell you now that no-one will build if the current format isn't changed. Think about it this way - given you aren't building for LoR either, you're essentially like a salesman whose customers are asking for improvements to their product, but are asking them to buy it anyway, despite they fact they don't want to buy it themselves! I know for those in the KC that have invested a lot into this some of this might feel a bit painful. And I think it's fair to say that no-one (myself included) wants to hurt anyone's feelings, but LEGO is something we all do as a hobby, so people will only contribute if they feel inspired to. To me it's clear that they are not! Another point I wanted to say to Mark of Falworth was that I'm sure we would all appreciate some info on the new RPG even if it was a bit half-baked at the moment. I don't think everything needs to be perfected before sharing. I still love the old and current lore. I have had a blast looking back on people's Flickr pages at different builds made for different GC time eras, from the war in the Magic isles up into the discovery of the Western Isles. For me I recognize 3 reasons that I haven't been as involved as planned/wished. 1). Real life *sigh*. 2). 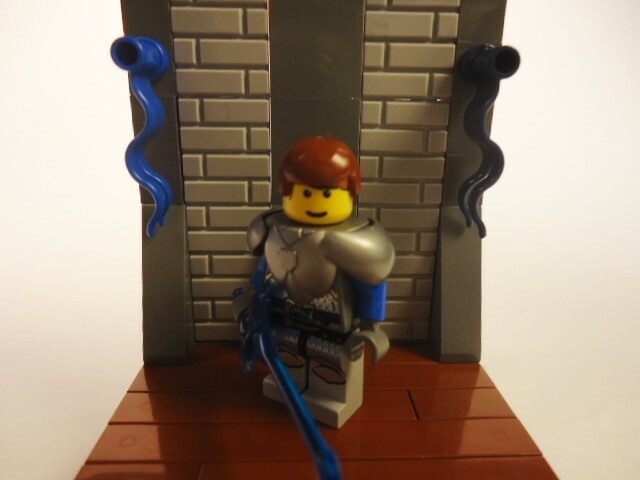 Like AK_Brickster said, we are lacking Castle themed sets. From 2010-2015 we had Kingdoms, Castle, LotR and the Hobbit which made for amazing builds, as showed by the many many contributions to LoR at the time, whereas right now we are stuck with Nexo for at least the rest of this year. But reason #3: the Global Story has felt like it is going at a very slow pace. Looking back at past years, there would be a few GC contests per year. Whereas the Western Isles were discovered a while back, the global storyline has moved slowly since then. There were a few neat stories, and then I know starting about a year and a half ago the KC announced a 10 part story arc, which a year and a half later has consisted of only 2 GCs and is not yet finished. I clearly understand when RL gets in the way, and i don't want to blame the KC for not moving the story along faster; this is my observation of the game's impression on me. If lots of players are actively building and are super inspired to use new parts or create a new character, a slower GC would in theory be okay because everyone's energy builds off of itself. When that isn't happening, I look to the Global storyline to feel like the game is continuing. Even if I am not able to build, this still fuels other people's interest/creativity, fuels discussion about how things could turn out, possibilities, etc., and creates good trash talk material If making a more interactive global perspective keeps the "Global Story" moving along more quickly, it would make me feel part of a game that is alive and kicking, and that my builds (when I am able to complete one) are part of a storyline that is part of an active group. Once again, I don't want to blame the GC for not keeping the storyline going so quick. If anything, i love the detailed stories and am always hungry for the next chapter. The downside currently; while the story arc is neat, it is happening enough far away from individual players that there isn't as much inspiration to build. To explain: When Galainir took power, everywhere was affected, and thus I saw builds showing troops taking over, characters breaking out of jail at Lions Head, rebellions beginning to organize, players being robbed by queen's forces or defeating queen's tax collectors, etc. There were tons of options. But when a story arc is about a secret mission that is being organized, my character isn't even supposed to know what is going on. And even after the main battle in the ruins, my character, back on the mainland, still doesn't know what is happening yet. Thus at this current time, the riveting storyline arcs have not given me much inspiration for building that involves/directly affects my character. My anticipation is that the next story chapters would reopen war on the mainland and create many more possibilities. As someone who joined after the wars of succession and of Galainir's rule, I have missed out the chance for building battles and war scenes. (looks back) That was more text than I first anticipated. Think about it this way - given you aren't building for LoR either, you're essentially like a salesman whose customers are asking for improvements to their product, but are asking them to buy it anyway, despite they fact they don't want to buy it themselves! Trust me, I'd love to build for LoR. But if you look back even to the early days, I've never had the build time. Most of my involvement has been screen time, and even that availability has wanted to a drip as real life twists and turns have shifted over the years. I think Sir Darren has a great point. The level of effort and detail and planning that currently is going into the GCs is awesome, but they do take way too long to put out. Simpler, more frequent ones would give people something to stay interested and engaged with. This is true, smaller more frequent GCs is likely to go down well. Although most people have asked for more significant changes than that as I understand it from this thread. Can anyone in the KC please give us an idea of what the level of discussion is behind the scenes, and whether the next GC is being worked on or changes are being discussed? There's been quite a head of Steam developed in this thread and it'd be a shame to hear nothing for weeks and lose it all.